Talk to any serious competitive athlete and you will hear the mantra “Food is Fuel”. It is a simple, true axiom meant to remind the uber fit that it is ok to eat grilled chicken, brown rice and steamed vegetables for every meal. After all, athletic performance and staying ripped is all about the quality of the calories and micro nutrients these amazing athletes take in to fuel the work they need to put out. My guess is that if you are reading this blog for fitness and travel advice, you do not fit into that category. On the other side of the equation are those who feel that “family is made around food”. Relationships are made around the table and more people will enjoy the table if the food is rich and inviting. After all, life is meant to be ‘lived’ not just endured. But a diet filled with high calorie, high (bad) fat foods is not good for you or your waist line. So as RoadWarriors, How do we find the balance between fueling our bodies appropriately and feeding our need for relationship? It is a balance that I battle daily on the road. I made a major shift in my approach when I realized that I actually am an Uber Athlete – AND SO ARE YOU!! Can I bench 300 lbs? – No. Can I run a sub 5 40-yard dash? – No. Can I go 5 rounds with the UFC’s best? – No. But I like to think I am really good at what I do and my nutrition plays a big part in my success. So how do you blend the two successfully? If you have read just about any of my posts you can sense a theme that centers around this. I firmly believe that Failing to Plan is Planning to Fail. You need to know when you are committed to others and where. Planning around client dinners is crucial to balancing your diet and having long term success living a life on the road. If I am having dinner with a client that enjoys steak houses, I am going to limit my red meat and carb intake that day prior to the meeting. If the night calls for a more adventurous palate (Ethiopian anyone?) I may front load the proteins to make room for the veggie based dinner. Get it? I don’t really track calories. I do track how many servings of each macro I have had throughout the day. I use the container system created by Autumn Calabrese. It helps with both portion control and total servings. Learn more about that here. Knowing what you need to consume makes sure you are being intentional rather than reactionary. In general, I like to time my simple carbs around workouts and early in the day (Fruits I will eat whenever and wherever). Carbs turn into sugar and energy the easiest of anything we ingest so ingest them before you need them. The later in the day, the less I need the easily accessible energy so tapper them off. Taking a group for Italian? Skip the oatmeal in the morning, have a salad loaded with veggies and protein for lunch and then enjoy the garlic bread and pasta that night. The one food group that I struggle with getting enough of in my diet is vegies. It is so easy to skip these, especially if you find yourself in the hotel lobby restaurant or airport limited service restaurant. Do yourself a favor, start your day off with a serving of veggies. My go to is the omelet bar. 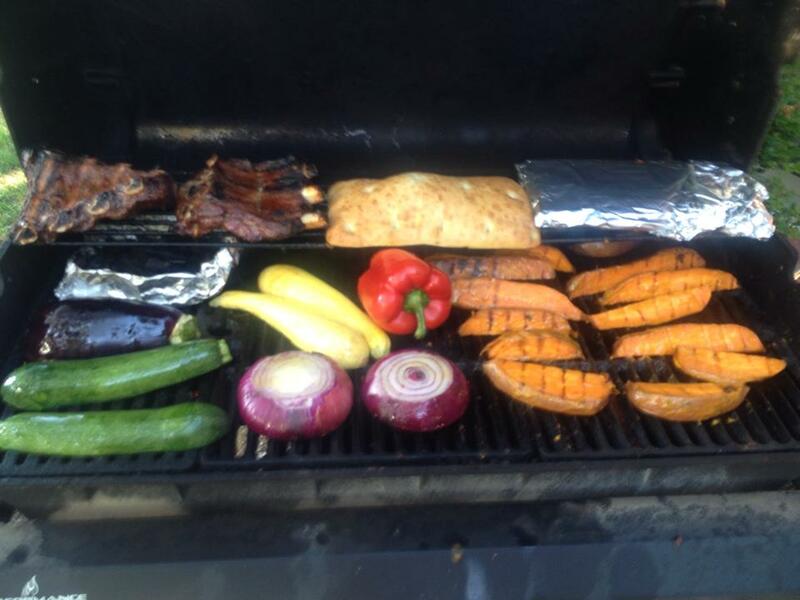 Give me all the veggies, heavy on the jalapenos, with just a little bit of turkey sausage. I make my digestive system work from the moment we are breaking fast. If I can, I am snacking on carrots, celery, red peppers or some other veggie with hummus or peanut butter in mid morning. That way if it does get late in the day and I am tracking my servings, I am not forced to have all veggies to get caught up. As a frequent traveler with status, you can find free booze everywhere. In the lounge, at the hotel concierge lounge, even on the plane. Remember that your body treats alcohol as a poison and stops processing of anything else until the alcohol is processed. Imbibe intelligently. My favorite drink is actually a tonic with lime – looks just like a cocktail without the extra calories or headache the following morning. That being said, I also love a good craft beer, rich red wine and/or single malt scotch. Just in moderation. In the end it comes down to treating your food as fuel when you are on your own and making those special client meals just that, special. Remember, you are an uber performer in what you do. Eat like an uber performer. How does a RoadWarrior ‘Eat Clean’ on the Road? By minding her P’s & Q’s! As we launch headlong into another year, I am finding myself evaluating the year previous in order to get ready for the new adventure ahead. Every New Year brings with it the hopes of rejuvenation of spirit, mind and body. For many that is a new found dedication to ‘Eating Clean’. But what does that really mean and how can do we make this happen while living a life on the road? Seriously, are we just being sure to wash our food first? Is it eating only raw, locally sourced vegetable products that are ethically harvested? It really is such an arbitrary statement…..kind of like ‘organic’ here in the U.S. (Don’t get me started on that one, the scientist in me wants to scream every time I hear this term). The funny part about clean eating is there really isn’t a specific definition. In fact, there is not even a Wikipedia page dedicated to it!! So what do people really mean when they become dedicated to ‘Eating Clean’? A focused diet around largely unprocessed foods with specific emphasis on whole vegetative produce (fruits, veggies, grains) along with lean protein sources and healthy fats while avoiding overly processed, refined foods and unhealthy fats. As you can imagine, this definition allows for a lot of leeway in just how strict your diet has to be in order to be considered “clean” but the point of this post is not to come to a universally accepted definition of Clean Eating. What I want to discuss is how do you actually make this type of a diet (regardless of how strict) work when you are on the road? It is easy, or at least easier, to keep your diet on point when you are at home – shopping for the groceries, prepping your own meals, packing your lunch, etc. But what about the road? How do we carry those great habits we are developing at home and not waste them once we hit the airport? Simple, you need to mind your P’s & Q’s!! I cannot stress this point enough, if you fail to plan – you are planning to fail. Heading out on a trip with no plan in place is a recipe for meals that involve a lot of brown. Whether the brown be from the bag the meal is served in or the color of the food itself, you are a long ways from eating anything close to what would be considered clean. To read more on how I plan for a trip (it is more than just what restaurant is in the hotel) here is a link to my process. You would never hike into the wilderness without a map or a GPS – don’t travel without an idea of the lay of the land. How your food is prepared makes a huge difference in the quality of the nutrition you are consuming. Your body is going to have a much better reaction to Salmon that is baked, broiled or grilled than to the same 4 oz filet that is battered and deep fried or “sautéed” (read: fried in a pan vs. a deep fryer) in a cream sauce. The quantity of the food you take in matters nearly as much as the preparation and is where most people struggle the most. Spend time familiarizing yourself with what an actual portion size looks like. Think about it, a portion of lean protein is about the size of a deck of cards. Now think about the last time you remember getting a chicken breast at a restaurant that was the size of a deck of cards as opposed to a small tablet computer. Order your food like you would if you were buying a box of crayons. Remember back in the day when all you wanted was that box of 64 Crayons? You know, the one with the built-in sharpener!! Your food should be the same way – full of color and vibrancy. Mix the browns of whole grains with the greens, reds, yellows, oranges and purples of garden vegetables. I say we take back the phrase “Taste the Rainbow” back from that candy company and put it back on our dinner plates. Stick to these tips for ALL MEALS and not just dinner. Too many RoadWarriors let breakfast and lunch just “happen” and try and focus on dinner. Problem is that by the time you get to dinner, you are starving because your calorie count is so low. Be persistent in your diet. Much more on this subject is to follow over as we continue to explore each of these points in more depth. How about you? How do you ensure you are able to stay on track with your diet, whether you are on the road or not? I want to hear from you as well. Suddenly – I have a new To-Do List!! I am a sucker for lists like this. Give me the top 20 or so ‘place experience here’ and I am all about trying to get them checked off as done. This latest list reminded me of another that at one time I had the goal of working my way through and just how much things have changed over the last 6 years. That old list? The top 50 burgers in the State of Texas (you can find that one here and I really cannot recommend Dutch’s burger highly enough – it was phenomenal). It was one of those wake-up call moments in life. I think I made it about ½ way through the burger list before getting serious about my health and focusing on what I put in my body when I am traveling. It has become such a focal point that I made it Rule #5 of getting and staying RoadWarriorFit. Finding the local burger joint is easy –the good, healthy and appealing alternative is usually not quite as ubiquitous. This new list makes me ask the question – what makes a good RoadWarrior restaurant? One of the very few perks to traveling across the country every week is I do get to experience some great food. With a little preparation and/or a trip to the concierge desk of the local full service hotel (you know you don’t have to stay there to ask a question, right?) you can find fantastic options to meet every taste preference. Skip the familiar chains and head to a locally owned treasure to support the local economy. Most of the time you can practically taste the love in the food in the local hot spots. Oh, and don’t forget to ask the wait/bar staff of your hotel where they eat after getting off shift, I have found some of my favorite dining eating experiences that way. Grilled is always better. Period. (Says the guy who grills just about every day I am home). Yes, there can be arguments made for specific dishes as to their health benefits vs. grilled but in general, grilling is a safe way to go with your meals. So if you are standing at a crossroads and one way smells like smoke – head that way. We all know that the less processed the food, the more likely it is to be better for you. We focus on buying the best for our families when we are at home, why would you change on the road? Check the menu for the preparations and techniques (you know how I feel about fried foods on the road already). Heck – take a walk through the restaurant real quick and just glance at people’s plates. See lots of brown and white? Keep looking. Plates look like rainbows? Time to have a seat. So there you go. That is what I look for when I am evaluating restaurants on the road. Hope it helps and look forward to seeing you on the road.